Home Tags Posts tagged with "missing jamal khashoggi"
Saudi Arabia has admitted journalist Jamal Khashoggi was murdered and blamed his killing on a “rogue operation”, giving a new account of an act that sparked a global outcry. Saudi Foreign Minister Adel al-Jubeir told Fox News “the murder” had been a “tremendous mistake” and denied the powerful crown prince had ordered it. Jamal Khashoggi was last seen entering the Saudi consulate in Istanbul, Turkey. The Saudi government, under intense pressure to explain Jamal Khashoggi’s whereabouts, has offered conflicting accounts. 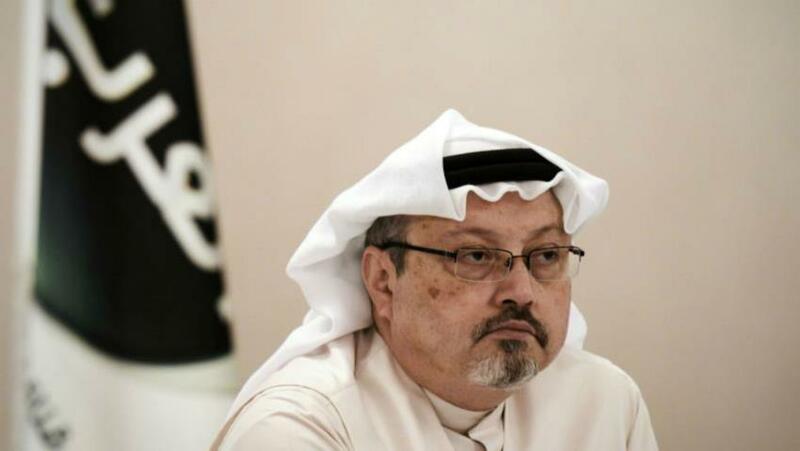 They initially said Jamal Khashoggi had left the consulate on October 2 – but on October 19 admitted for the first time he was dead, saying he had been killed in a fight. This claim met widespread skepticism. Turkish officials believe the journalist, a prominent critic of the Saudi government, was murdered by a team of Saudi agents inside the building and say they have evidence to prove it. Adel al-Jubeir’s comments, describing the incident as murder, are some of the most direct to come from a Saudi official. “The individuals who did this did this outside the scope of their authority,” he added. Adel al-Jubeir also said that Saudi Arabia did not know where the body was and insisted the action had not been ordered by Crown Prince Mohammed bin Salman, seen as the country’s most powerful figure. However, Yeni Safak, a media outlet close to Turkey’s government, says it has information showing that the office of the crown prince received four phone calls from the consulate after the killing. On October 21, Reuters reported it had spoken to a Saudi official who said Jamal Khashoggi had died in a chokehold after resisting attempts to return him to Saudi Arabia. His body was then rolled in a rug and given to a local “co-operator” to dispose of. A Saudi operative then reportedly donned Jamal Khashoggi’s clothes and left the consulate. Speaking to reporters after a phone call with King Salman of Saudi Arabia, President Donald Trump has suggested “rogue killers” could be behind the disappearance of Washington Post journalist Jamal Khashoggi in Turkey. He said the Saudi king had firmly denied knowing what had happened to Jamal Khashoggi. Turkish police have, for the first time, been inside the Saudi consulate where Jamal Khashoggi was last seen. Turkish officials believe Jamal Khashoggi was murdered in the consulate by Saudi agents nearly two weeks ago but Riyadh has always strongly denied this. Meanwhile, unconfirmed media reports suggest Saudi Arabia is preparing to admit that Jamal Khashoggi died as a result of an interrogation that went wrong and that the original intention had been to abduct him. Arabic channel Al-Jazeera quotes Turkey’s attorney-general’s office as saying it has found evidence to back claims that Jamal Khashoggi was killed inside the mission. President Trump addressed snatched questions from reporters over helicopter engine noise at the White House, describing King Salman’s denial as “very, very strong”. “It sounded to me like maybe these could have been rogue killers,” he added. President Trump provided no evidence to back his comment. Last week, the president threatened Saudi Arabia with “severe punishment” if it emerged that Jamal Khashoggi had been killed inside the consulate but ruled out halting big military contracts with Riyadh. Secretary of State Mike Pompeo’s visit to Saudi Arabia will be followed by a stop in Turkey. On October 15, King Salman ordered an investigation into the case. “The king has ordered the public prosecutor to open an internal investigation into the Khashoggi matter based on the information from the joint team in Istanbul,” a Saudi official quoted by Reuters said. Last week, Turkey accepted a Saudi proposal to form a joint working group to investigate Jamal Khashoggi’s disappearance. Investigators entered the consulate in Istanbul on October 15 – first a Saudi team followed roughly an hour later by Turkish forensic police. A group of cleaners was seen entering earlier. King Salman and Turkish President Recep Tayyip Erdogan spoke by telephone on October 14, officials said, and stressed the importance of the two countries working together on the case.